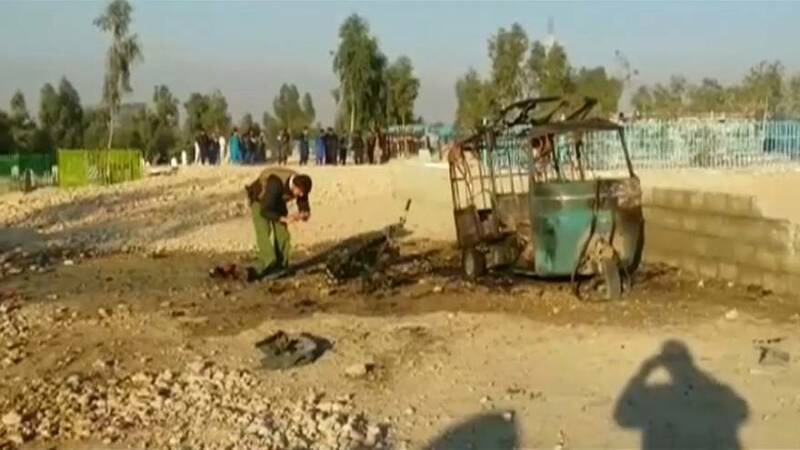 A suicide attack at a funeral in the eastern Afghan city of Jalalabad on Sunday killed at least 15 people and wounded 13, the governor’s spokesman said. Attaullah Khogyani, spokesman for the provincial governor, said the attacker had blown himself up as people gathered for the funeral of a former district governor at a cemetery in the city. Has anyone admitted carrying out the attack? No. There was no immediate claim of responsibility for the attack. Wasn't there an attack earlier in the week? Yes. At least 41 people were killed and more than 80 wounded in a suicide attack on a Shi‘ite cultural center in Kabul on Thursday. ISIL claimed responsibility for that attack, one of the worst in the Afghan capital in months. Backed by intensive U.S. air strikes, Afghan forces have claimed growing success against the Taliban and other militant groups, including ISIL, but attacks on civilian targets have continued, causing heavy casualties. Attack "caps a deadly year for civilians"